In 1992 Linda Bleoo was working as an employee at a pet store in Mississauga, Canada. After she discovered that the company was going bankrupt, her friends convinced her to buy the store for herself and run her own small business.At first, she didn’t think she could do it. Besides, seven established pet store chains were competing for the deal she wanted. The Bank of Montreal chose to back Linda and gave her the $65,000 she needed. 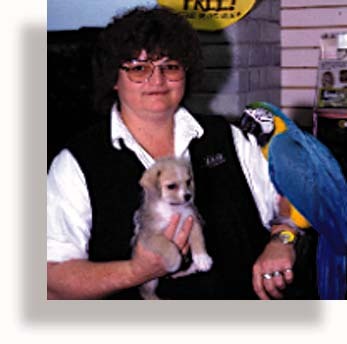 Since Linda purchased her business, she’s made a quite a success of “Classic Pets” located in South Common Mall. It’s amazing what you can do when you go for what you want and use the right tools. “I have a tech background and work as a consultant, and I like entrepreneurial and small businesses. I put together a retail storefront plan for a series of chocolate lounges. BizPlanBuilder has a nice clean flow of what I needed to include. It gave me the roadmap without me needing to create it. I used it extensively, filled it in myself… It has all core sections that I needed to put a plan together for a small retail chain. It’s already 3/4 funded @ $375,000. When you have a success to share, please tell as much as possible about it. Include a picture of yourself and/or your product or logo—we’d love to post it here. Also, if you include your web address (URL) we can link to you and send others your way! Are you starting, buying or growing a retail store? Imagine having the upper hand when dealing with banks, investors, a store owner who has a store for sale… Now you can write a professional business plan for building or buying a business using your ideas quickly and efficiently.